All season, Yankees starter HIROki Kuroda has served as the rotation's stopper (14-10, 3.26, over 200 IP). I argue that you could start him in Game 1 of the playoffs over CC. And last night the real IcHIRO Suzuki stepped up. In a doubleheader vs Toronto that the Yanks needed to sweep, Suzuki did it all: 7-for-8 total at the plate, the super game-winning catch in Game 1 and a 4-hit, 4-steal nightcap, where he drove in the game-winning run to boot. He didn't look like a guy on the gradual career decline, he looked like they guy who hit .350 four times in his career. In fact since his acquisition from Seattle on July 23, he's hit .317 in Pinstripes. 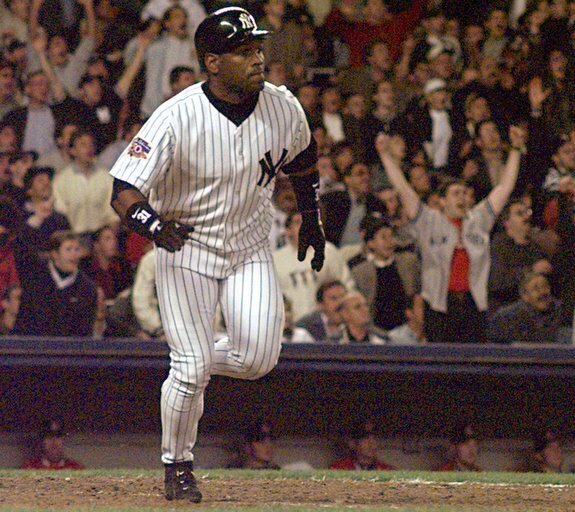 It reminds Yankee fans (or at least this one) of the late-season, late-career surge of Tim Raines who hit 7 HR down the stretch in September 1996. But there were plenty of heroes on Tuesday. Andy Pettitte (Raines' former teammate) returned from a DL and pitched 5 unblemished innings. David Phelps went deep in the Game 2 start, sparing the bullpen - except for Rafael Soriano who amazingly nailed down Saves #41 & #42. Oh yeah, and Derek Jeter got his 200th hit. Meanwhile out west, the MLB's feel-good story Orioles did it again. Even Yankee fans appreciate what they're doing, we just wish they'd be battling for the Wild Card instead. They battled King Felix Hernandez to an 8-inning stalemate, and took the game into the 11th when Adam Jones launched his 30th to break the tie and then they record the final out on a caught stealing. It was a mind-bending 15th straight extra-inning win. This one only kept me awake until 1:23 AM ET as opposed the 18-inning marathon the night before. The incredible O's did what they had to do, taking their last 4 games on the west coast. And they are 39-20 in the last 2 months. It's worth pointing out again that for the first time since 1995, there is a much greater significance in winning the division over the wild card.